George Strait 6.5 oz. 55% Cotton/ 45% Polyester heather charcoal zip up hoodie. 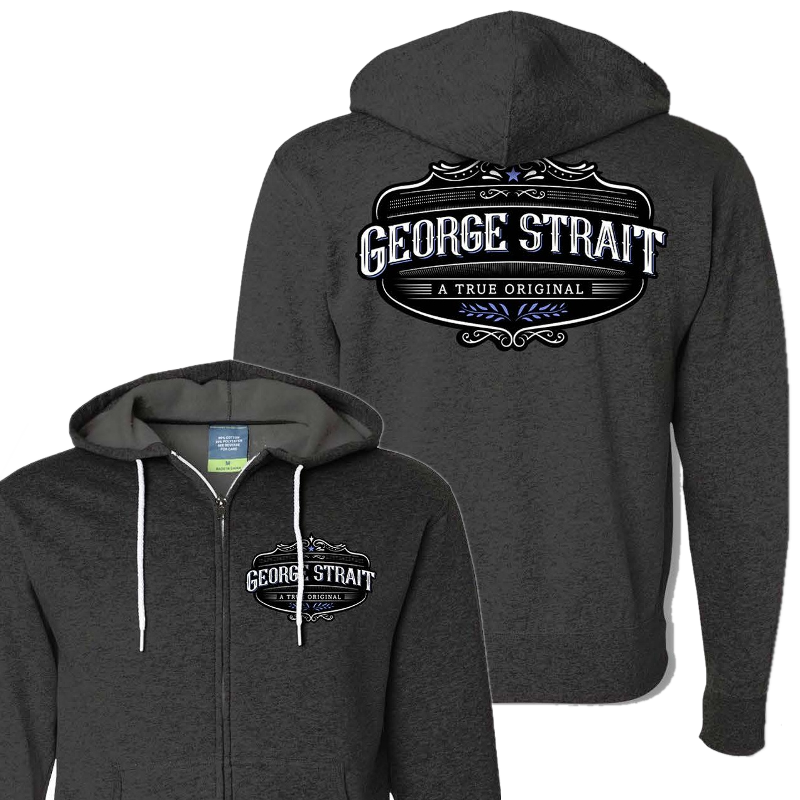 George Strait True Original logo on the front left chest and full back.